While no one is claiming that the food you eat can cure illnesses like depression, there is plenty of evidence to suggest that what you eat can worsen, or improve your mood and improving your diet can be useful as a part of an overall treatment plan. That’s not to say that those who don’t suffer from depression wouldn’t benefit from a change in diet because food does affect your energy levels and your mood. Eating more healthy food is something that any people would benefit from, and I’m no exception to that. So put down your burgers and kebabs and find out more about how the food you eat can affect your mood. The omega-3 fatty acids that are found in oily fish and walnuts are believed to help combat the effects of depression. Apparently, omega-3 fatty acids can affect the neurotransmitters in the brain. Like many of these, food based theories, there are researchers that disagree with the idea that omega-3 fatty acids have anything to do with mood, but as there are so many health benefits to be gained from eating it, you might as well tuck in to some salmon this lunchtime anyway! As somebody that regularly goes without breakfast, I can vouch for this one. If you miss breakfast completely, you do feel a lack of energy and enthusiasm throughout the day. Breakfast wakes up your body and gets the metabolism going, so it stands to reason that missing it will make you feel lethargic. Selenium, which is found in a variety of foods including seafood, nuts, and lean meat, is a compound that has been found to improve the mood. In a study of elderly patients, it was found that taking a selenium supplement improved the symptoms of mild to moderate depression. We all know that we should cut down on our sugar, but did you know that it has been suggested that there might be a link between sugar and Schizophrenia? No one is suggesting that if you eat a bag of sweets, you will become schizophrenic, but research has found that high blood sugar levels and diabetes are more common in people who suffer from Schizophrenia. 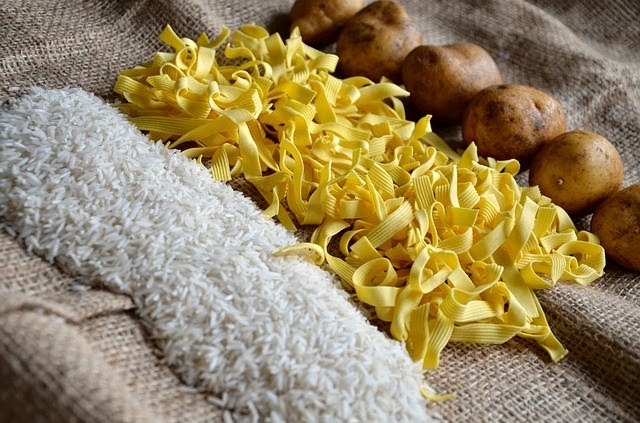 There has been a connection made between carbohydrates and mood and, people who follow a very low carbohydrate diet tend to feel less energetic and enthusiastic. Research has found that eating so called ‘smart’ carbohydrates like whole grains, fruit and vegetables, assist in the production of the mood enhancing hormone, serotonin. Several shots of espresso in the mornings may well wake you up in the short term, but high intakes of caffeine have been shown to worsen the symptoms of depression in some people. In any event, too much coffee will keep you awake at night and that’s not going to improve your mood either. Water, water, everywhere and you never drink any of it! That could be why you feel lethargic and in a low mood all the time. Humble H2O is no cure for a bad mood, but dehydration will definitely make you feel worse. In a nutshell, the fresher the food, the better it is for your mind and your body. A diet of caffeine, alcohol and processed food will not only put a strain on your body, it will affect your mood too, and a poor diet has been linked to depression. So, it would seem that you really are what you eat, after all. Bon appétit!